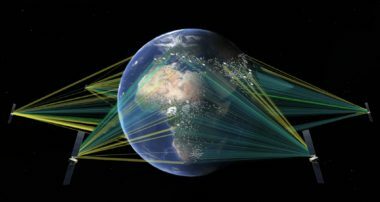 A NASA instrument to study the interaction of the Earth’s upper atmosphere with space weather is ready for launch later this month as a payload on a commercial communications satellite. 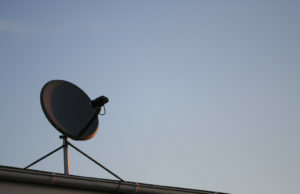 If the U.S. Federal Communications Commission wants a more accurate database of C-band satellite dishes, it should make the process of registering those dishes less expensive and time-consuming, fleet operator SES said Dec. 6. 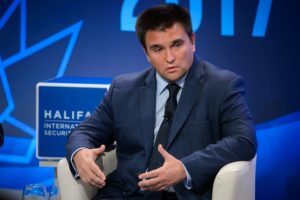 Ukraine has become an important customer for Luxembourg-based SES. 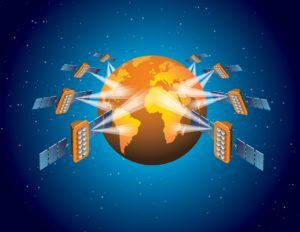 Satellite fleet operator SES, the industry partner whose support Intelsat and Intel need the most for their proposal to open C-band the U.S. has designated for satellites to 5G wireless networks hungry for more spectrum, is willing to go along with the plan, but with one major caveat: not the whole band. 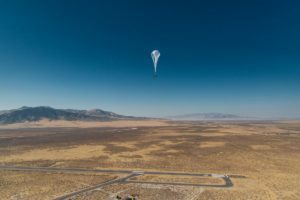 Google’s experimental high-altitude balloon project is using connectivity from O3b satellites to provide emergency communications in hurricane-ravished Puerto Rico. SpaceX completed its third launch with a previously used first stage booster Oct. 11, carrying a geostationary satellite for customers EchoStar and SES. 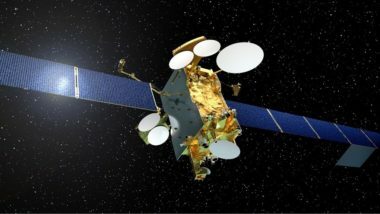 Satellite operator SES has selected Arianespace to launch a fifth set of O3b satellites as well as a large geostationary orbit communications satellite, the companies announced Sept. 12. 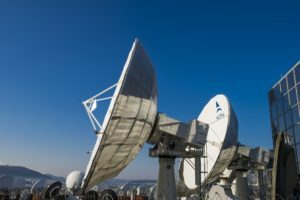 Fleet operator SES placed a seven-satellite order with Boeing Satellite Systems International to build a second generation of O3b satellites that will have more than triple the capacity of ViaSat’s future ViaSat-3 constellation. SpaceX intends to launch EchoStar-105/SES-11 on a partially reused Falcon 9 rocket no earlier than October, the company said today. 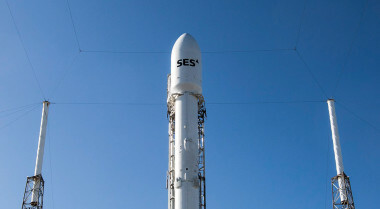 Seeking to restore capacity for customers impacted by a satellite malfunction earlier this year, fleet operator SES is swapping launches between SpaceX and Arianespace, the company announced today. 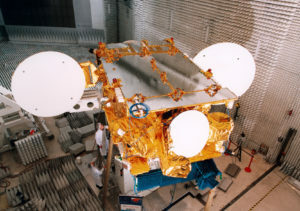 Satellite fleet operator SES says it will retire the malfunctioning AMC-9 satellite a year early if it can regain control of the spacecraft. 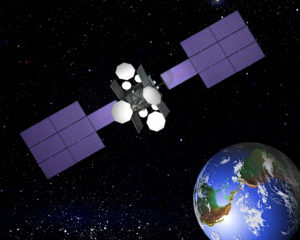 The additional connectivity will be provided via SES’s medium-Earth-orbit (MEO) O3b fleet as part of a high-throughput, low-latency satellite communications system SES GS is providing to the Pentagon, the company said. 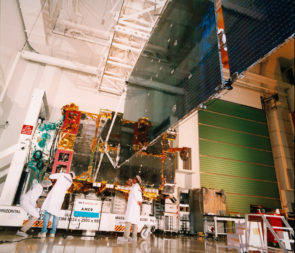 A 19-year old SES satellite lost nearly a third of its transponders in an anomaly this month, marking the second major satellite malfunction in the SES fleet this year. 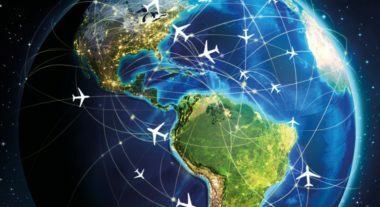 A decision by the U.S. Federal Communications Commission to allow the use of Thales FlytLive aeronautical terminals opens the market to a fourth competitive reseller in what is currently the largest regional inflight connectivity market. 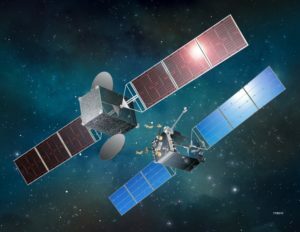 After scrapping an attempt at a satellite servicing business six years ago, MDA Corp. launched a new venture June 28 to repair and refuel satellites in orbit using a spacecraft it is building for the U.S. Defense Advanced Research Projects Agency (DARPA). 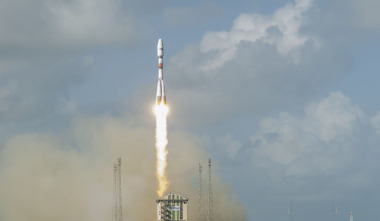 SES says its 14-year-old satellite that malfunctioned and strayed from its orbit over the weekend poses no collision or interference danger to other satellites in the vicinity.